Please note: Only offi­cial Tree Ten­ders may reg­is­ter for Prun­ing Work­shops. To find out more about becom­ing a Tree Ten­der, please click here. Prac­tice your prun­ing skills with Tree Pitts­burgh! Prun­ing young trees is one of the most impor­tant actions you can take to help them thrive in the built envi­ron­ment. Whether in your back­yard, on your front side­walk, or in your neigh­bor­hood park, shap­ing young trees through prop­er prun­ing prac­tices will help them grow healthy and strong, and pre­vent poten­tial prob­lems in the future. Prun­ing is an art and a sci­ence, and it can often be chal­leng­ing at first. But prac­tice makes per­fect! 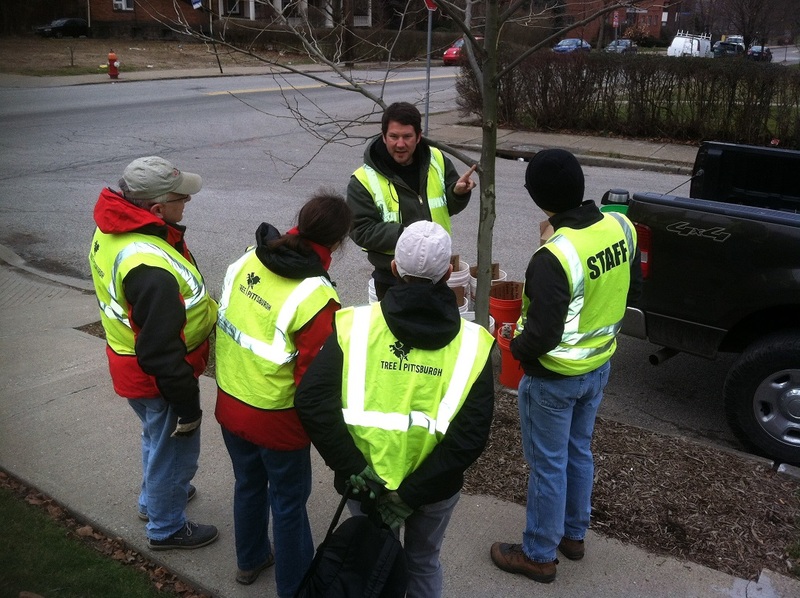 Join Tree Pittsburgh’s ISA Cer­ti­fied Arborists to sharp­en your skills!